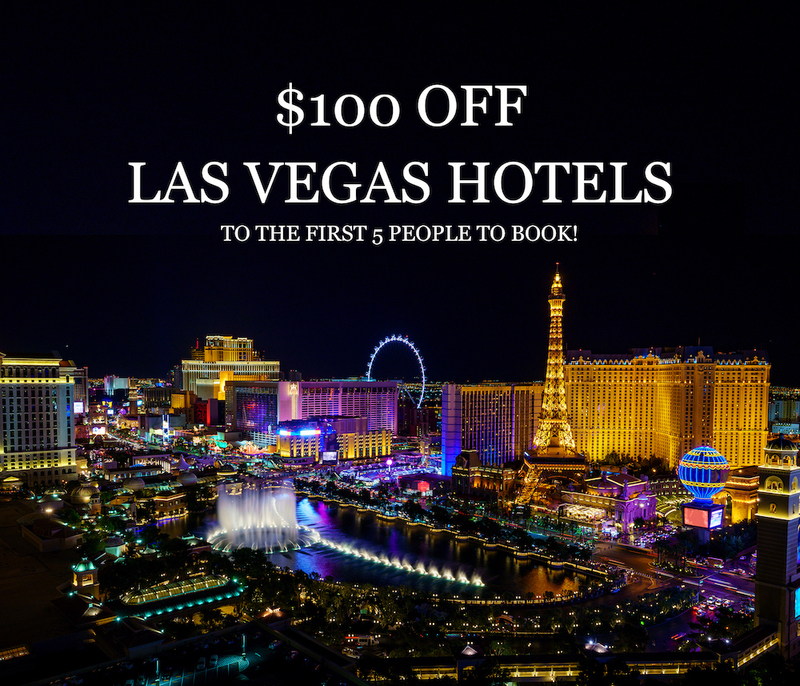 $100 Off for the first 5 users to book any Las Vegas or adjacent city hotel! $40 Off for the following 5. $5 Off for everyone else. Book now using code VEGASBOUND at checkout! Look up incredible hotel rooms for your Vegas Getaway! Coupon is only valid for the purchase of a Hotel Room Only package in Las Vegas and adjoining cities (Henderson and North Las Vegas). Coupon value of $100 is limited to 5 users on a first-come, first-serve basis. Coupon can only be redeemed once per person/user. Coupon is only effective for one booking per user. Coupon is not transferable, not redeemable for cash and cannot be combined with any other offers, coupons or promotions unless otherwise specified.